The second edition of the European Games are less than a year away and preparations are in full swing. The EOC is asking all ENOCs / EFs for help in raising awareness of this important event – in Europe and beyond. We want to promote the European Games visibly on the NOC / EF websites; create a social media buzz, promote countdowns, qualifications, test events, new formats and athletes; and work with some important media outlets at the national level, to name just a few of the various opportunities in the communications area. If we coordinate well and cross-promote our activities, we will maximise the impact of each other’s initiatives. The EOC Media team will work with the ENOCs / EFs and support you as much as possible in this endeavour, for instance by providing you with visuals, messages and other easy-to-use material. This document offers some guidance on how we can kick off this exciting undertaking. 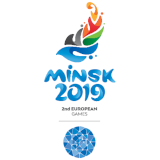 In total, 4,082 athletes from all 50 European National Olympic Committees will compete in 15 sports at the European Games in Minsk from 21 to 30 June 2019. 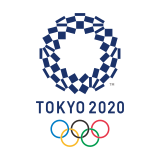 Ten of the 15 sports will act as qualifiers for the Olympic Games Tokyo 2020, with the European Games also counting as the official European championships for four sports. Of the 12 sporting venues, 11 are existing facilities, only the outdoor beach soccer venue was built from scratch – and in only two months. The beach soccer stadium has already hosted the first test event with international participation in early July. In total, 11 test events will be held in 2018 and 11 more in 2019. All 12 sporting venues will be located a maximum 30 minutes’ drive from the Athletes’ Village, ensuring athletes can easily travel to training and competition facilities. There will be free WiFi available everywhere in the Village. MEGOC already received more than 8,000 applications from people who would like to work as volunteers at the Games. In fact, MEGOC already had 50 volunteers participating in the FIFA World Cup in Russia in order for them to collect valuable experience at a major sport event. During the European Games, there will be 550 hours of live coverage + daily highlights. The Minsk 2019 Host City Contract ensures media freedom during Games’ time. Tickets will go on sale on 1 December 2018. Sales will be conducted by MEGOC via minsk2019.ticketpro.by within Belarus and through Official Resellers in their territories from 1 December 2018 until 28 February 2019. Worldwide ticket sales will begin on 1 March 2019. An agreement was signed between Belarus and Russia to allow visa-free entry for foreigncitizens to both countries for the 2018 FIFA World Cup Russia and European Games Minsk2019. Tickets for both events will serve as visas.